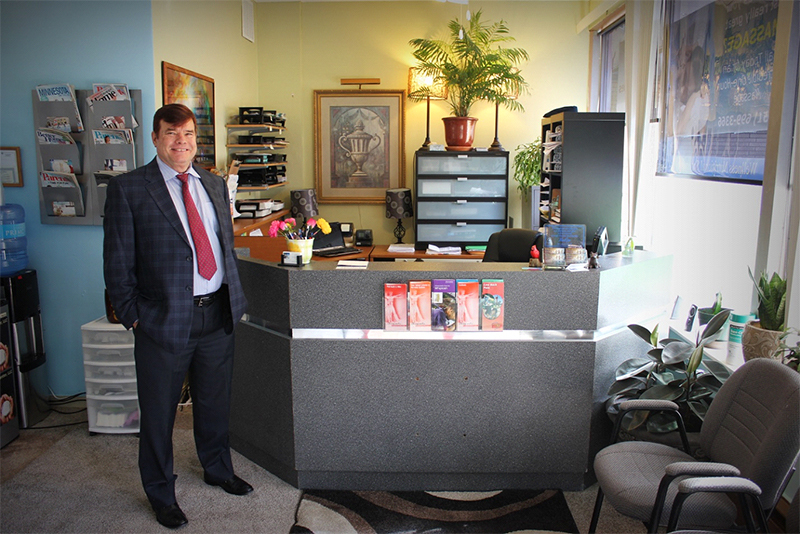 Dr. Robert C. Slater Board is a nationally certified chiropractic orthopedist (DACO). He is a highly qualified doctor of chiropractic who has completed extensive postdoctoral education in non-surgical orthopedics. Dr. Slater has passed rigorous Board examinations leading to Diplomate status as a chiropractic orthopedist. Less than 2% of chiropractic physicians attain this status. In addition Dr. Slater has completed a Master’s degree in pelvic anatomy, which is his area of specialty within the advanced field of orthopedics. If you are having any type of lower back or hip pain, call 651-699-3366 for an immediate appointment. Between 20 to 30 minutes is scheduled for each patient visit with Dr Robert C Slater. If you’re a regular patient and think you are going to be a bit, follow a common sense rule and call ahead and let the front desk know. 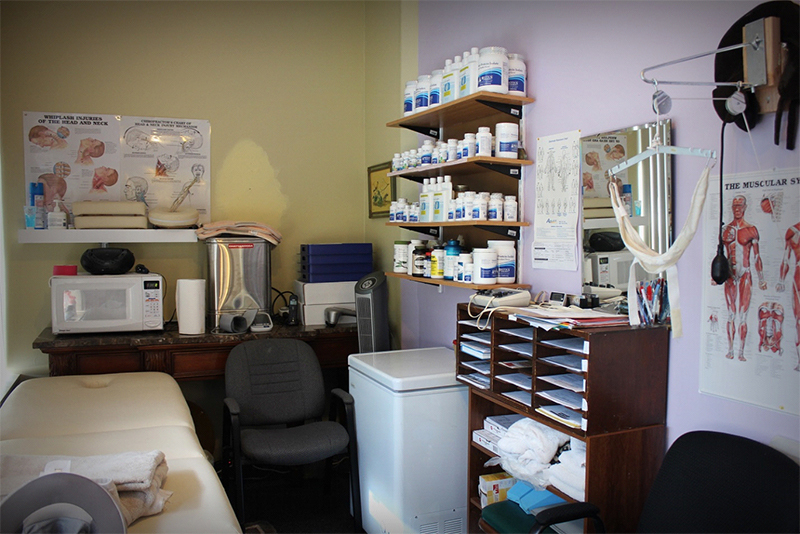 High quality and complete care is rendered during each patient’s appointment time. If you arrive early for your appointment, have a cup of fresh brewed coffee or tea in the comfort of our newly decorated reception area. Doctor’s offices can get a bit like a busy airport terminal or restaurant, so it is always better to call and have your own time slot. 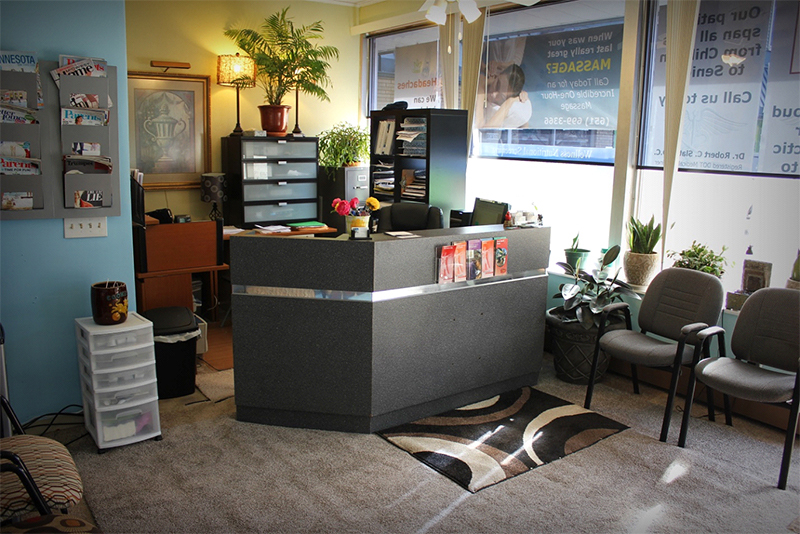 There is plenty of space in our office waiting area for your comfort and convenience. Amenities in our waiting room include current magazines, research articles on poster board, snacks and drinks. After your consultation and examination, Dr. Robert C. Slater DC will recommend one of more kinds of treatment to get rid of neck or back pain. Many other common pain or related symptoms treated are: Headache; Neck and back pain; Dizziness or nausea; Radiating pain from neck to the arm or back to the leg; Weakness, fatigue and irritability; Nervousness and anxiety; Jaw pain or popping jaw and Sciatica and leg pain. Treatment provided by adjustments given by hand or activator balance the spine, even out spinal pressures, relieve pain and restore normal spinal nerve function. Treatment is always safe and gentle. 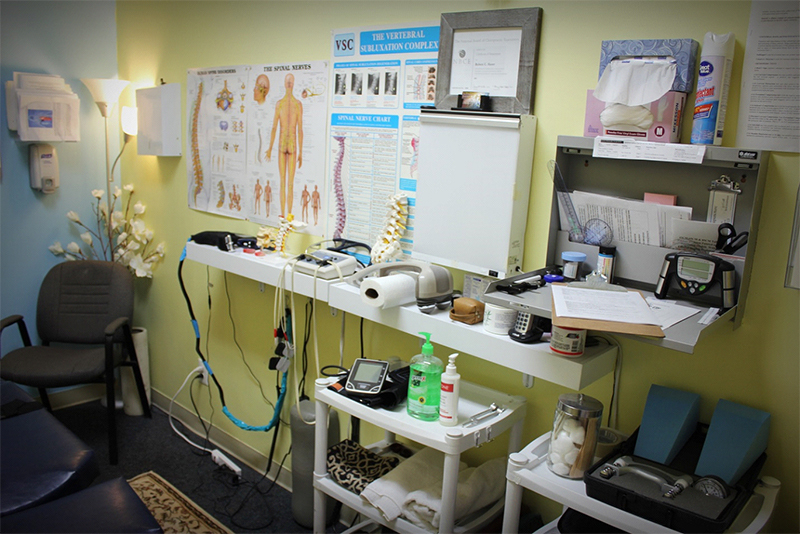 Spinal adjustments give an immediate feeling of relief, making you feel relaxed and energized. Several interrelated spinal care treatments provided at healing Hands Wellness help the spine heal from a car accident, work injury or personal injury. The primary chiropractic treatment is spinal adjustments. Safe and gentle adjustments relieve spinal pain, minimize stiffness, improve spinal strength and increase range of motion. Secondary techniques provided at our clinic are: (1) Trigger point therapy to release ‘knots’ in tight and weak muscles which helps reduce pain; (2) Spinal traction to help restore normal spinal curves thus releasing harmful pressure on spinal joints and spinal nerves, (3) Electrical stimulation to help relax painful muscles, improve circulation to them while gently applying a very low amperage current into them, (4) Ice and heat after injury to help reduce inflammation or relax tight muscle and ligaments relating to spinal misalignments or subluxations, (5) Ultrasound which produce a deep heating sound wave into the painful joint and its soft tissue to prevent scarring and enhance circulation and (6) Nutritional therapy to assist the body to repair and heal from injury. A variety of spinal adjustments or manipulations are selected by Dr. Slater to tailor make the individualized chiropractic treatment that is just right for each patient to receive maximal healing benefit. These techniques include: (1) Toggle Drop – this is when the chiropractor, using crossed hands, presses down firmly on a particular area of the spine. Then, with a quick and precise thrust, the chiropractor adjusts the spine. This is done to improve mobility in the vertebral joints, (2) Lumbar Roll (aka side posture) – the chiropractor positions the patient on his or her side, then applies a quick and precise manipulative thrust to the misaligned vertebra, returning it to its proper position, (3) Release Work – the chiropractor applies gentle pressure using his or her fingertips to separate the vertebrae, (4) Table adjustments – The patient lies on a special table with sections that drop down. The chiropractor applies a quick thrust at the same time the section drops. The dropping of the table allows for a lighter adjustment without the twisting positions that can accompany other techniques and (5) Instrument adjustments – often the gentlest methods of adjusting the spine. The patient lies on the table face down while the chiropractor uses a spring-loaded activator instrument to perform the adjustment. This technique is often used to perform adjustments on animals as well.